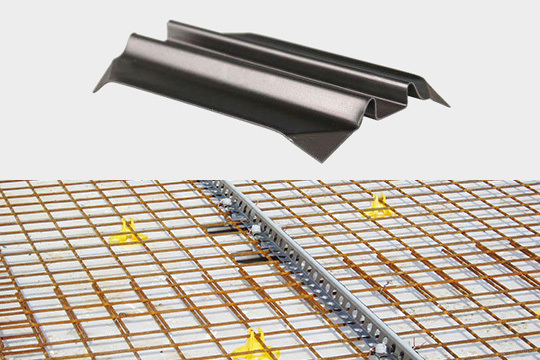 Screed rails are the main components. The Screed rails combine stability, accuracy and light weight which assures quality casting. The Screed rails are available in seven different heights which will fit slabs from metal decking to heavy duty industrial floors. 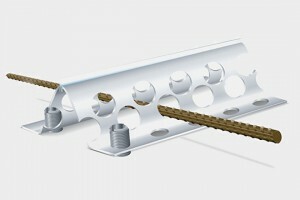 The Screed rails are stackable and easy to handle; it is a one-man operation to assemble. 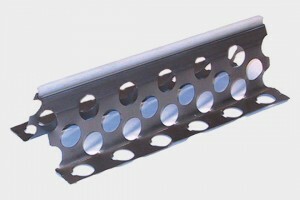 The Screed rails can be levelled with adjustment screws or directly on concrete pads. The Screed rails give a true construction joint as well as a controlled crack propagation. Locking clips will secure the triangular profile of the Screed rails to create a rigid support and form work. The clips are easy to mount and can be placed anywhere along the Screed rail. Recommended distance is 1000 – 1100 mm centers. 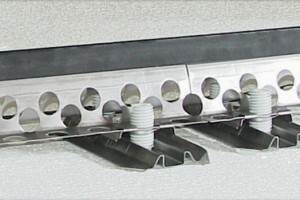 The Top Extender is easily mounted directly on top of the Screed rail. It allows for increased concrete cover and acts as a saw cut. It can be left in or taken out if different joint filler is required. Cost and time saving. The Top Extender can also be delivered in different colors for a modern designed concrete floor or marking out different bays. The adjustment screws allow for an easy, accurate and stable levelling of the Screed rail. The floor height can be set with great precision, for sloping as well as for super flat concrete floors. 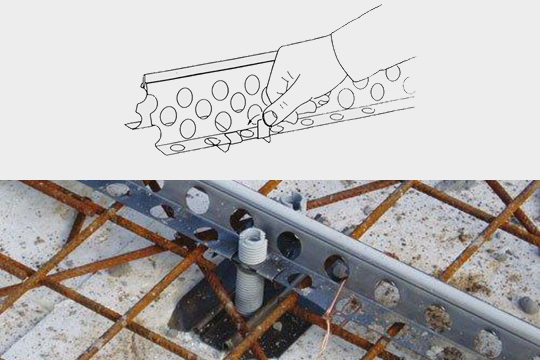 The screws are provided in two heights, 60 and 90 mm which cover most of the common slab depths. 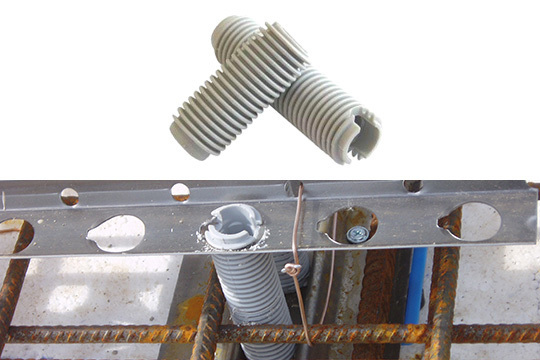 The ground plate is used in conjunction with the adjustment screws. 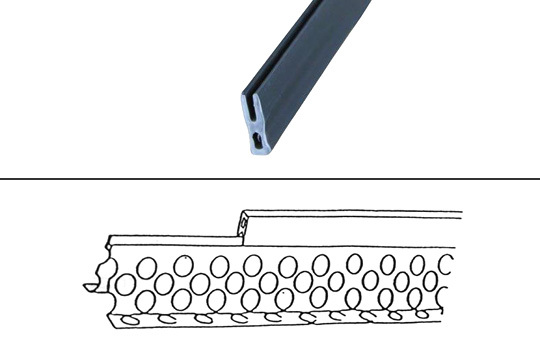 The design of the ground plate gives stable support with minimum risk of slip. The plates are recommended to be used on every surface except those that should not be penetrated such as vapor protected slabs.